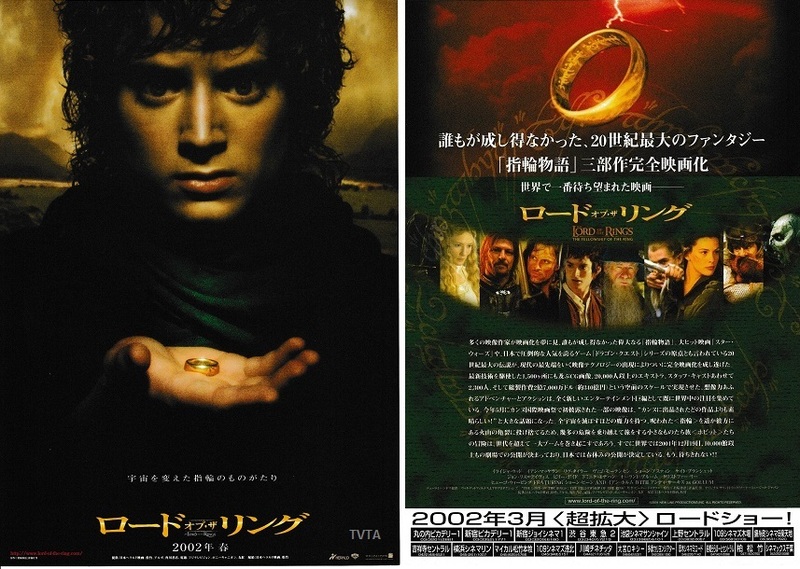 The Lord of the Rings trilogy trilogy is considered one of the most ambitious film projects ever undertaken, with a budget somewhere in the region of $281 million and a filming schedule of eight years. 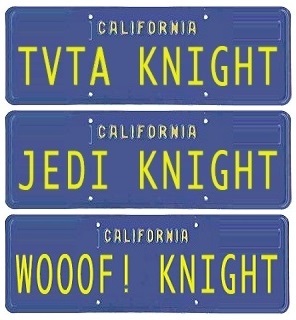 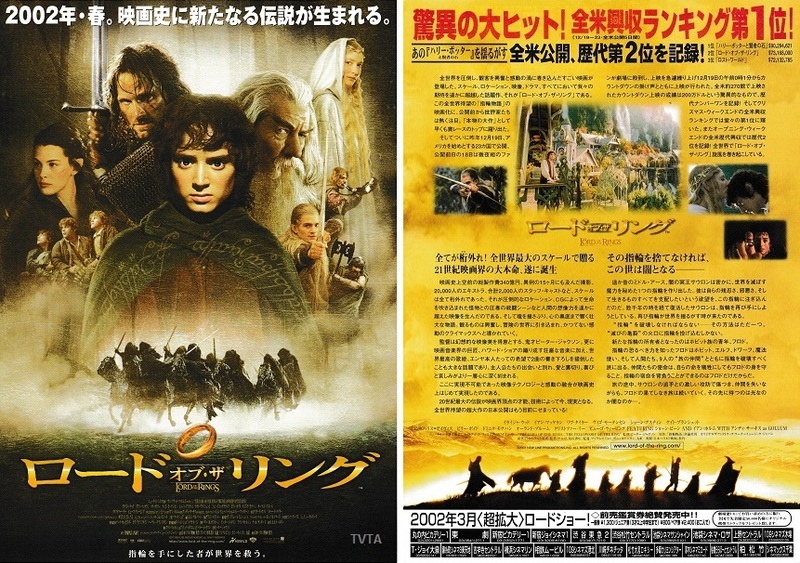 The trilogy received overwhelming praise and won 17 out of 30 Academy Award nominations. 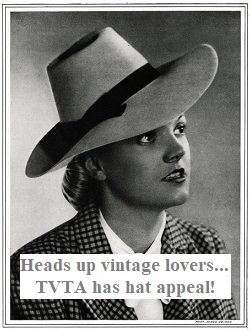 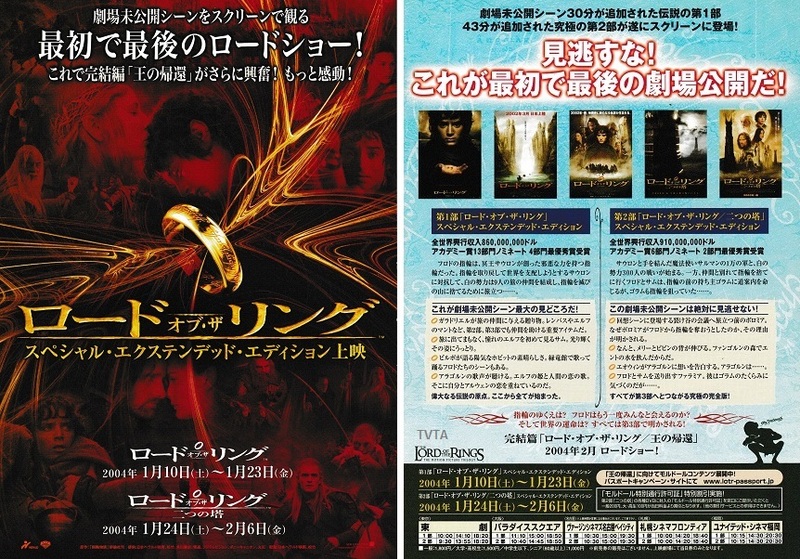 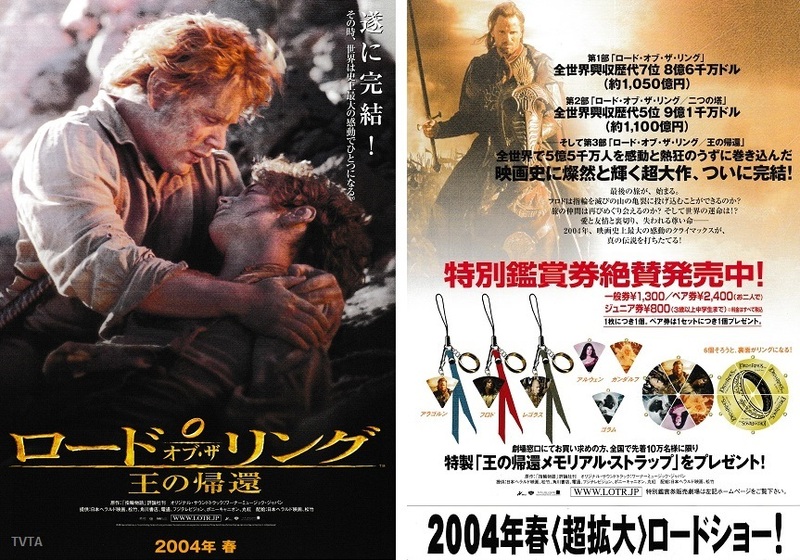 TVTA is pleased to present Chirashi poster versions of all three films as advertised and made available in Japan at the time. 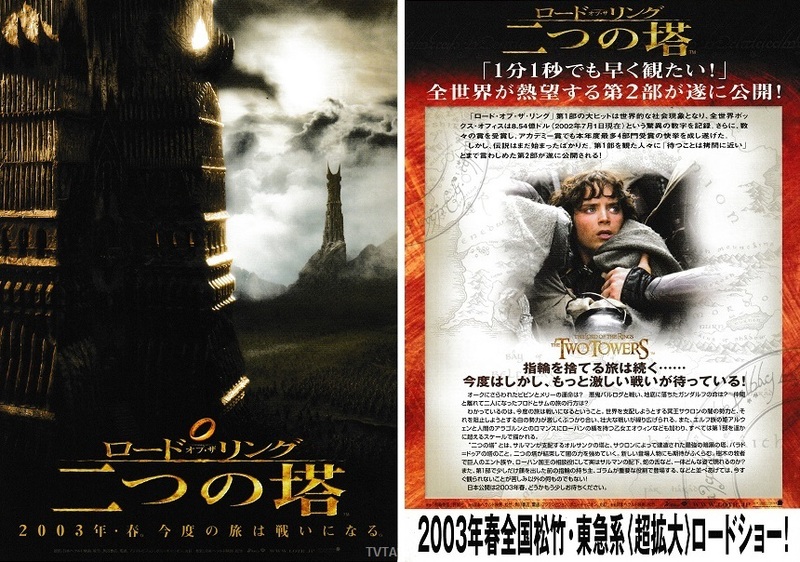 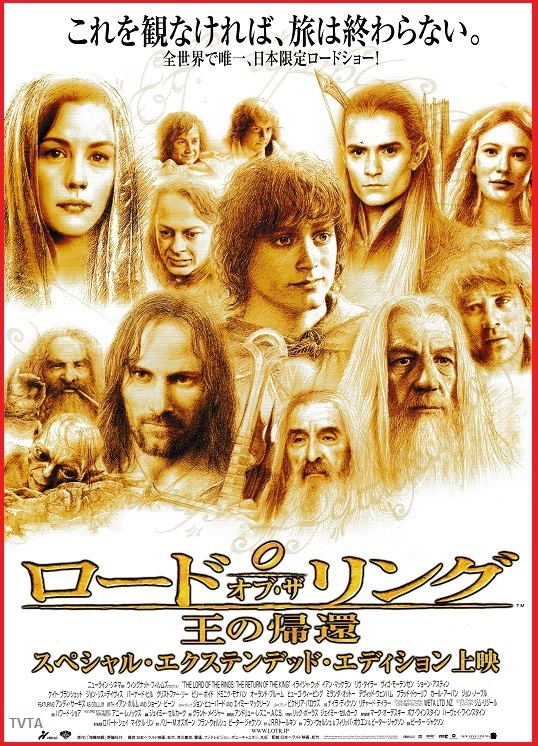 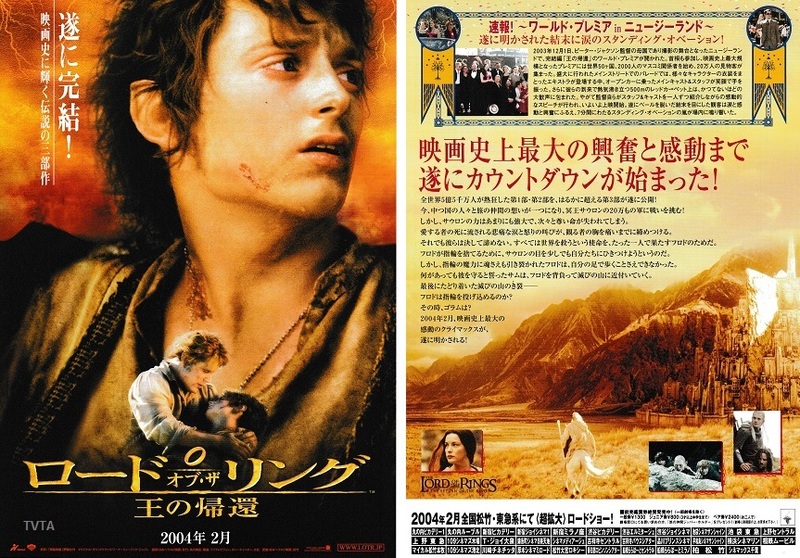 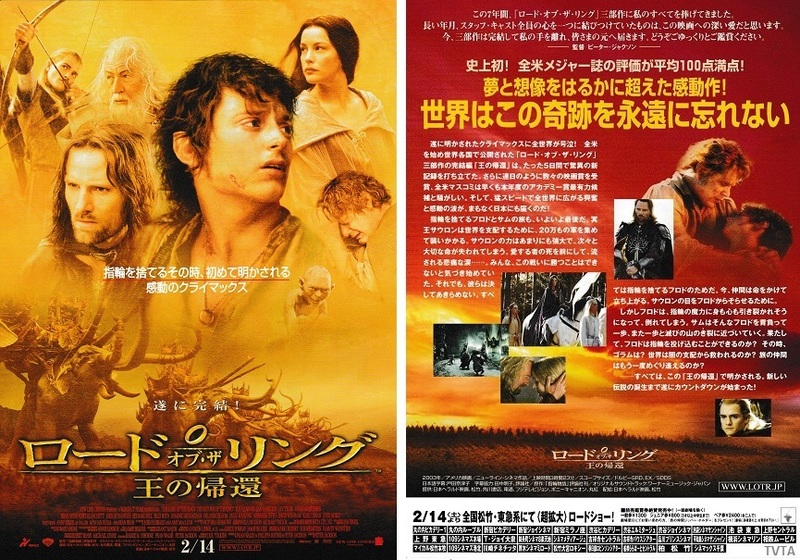 This entry was posted in Chirashi Movie Posters, LORD OF THE RINGS and tagged Chirashi, films, Japan, Japanese chirashi posters, Japanese movie posters, Lord of the Rings films, Lord of the Rings trilogy posters, movies, Peter Jackson, TVTA on November 24, 2017 by The Vintage Toy Advertiser. 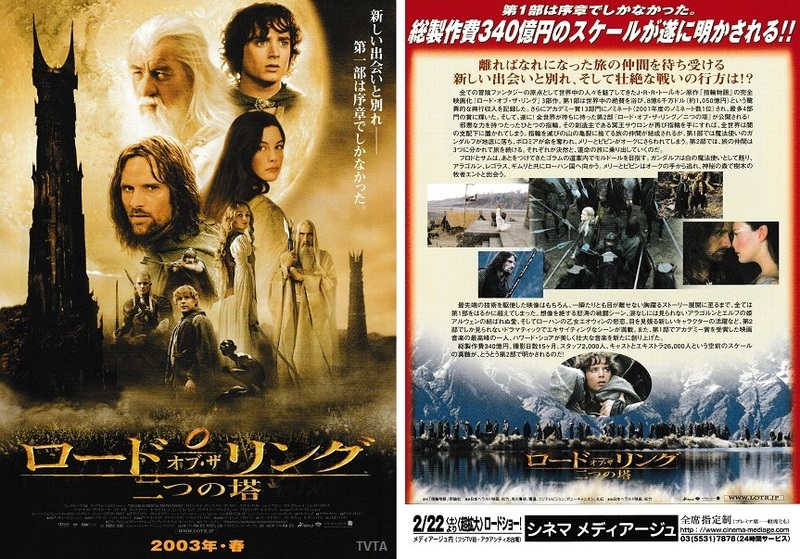 Lord of the Rings merchandise adverts. 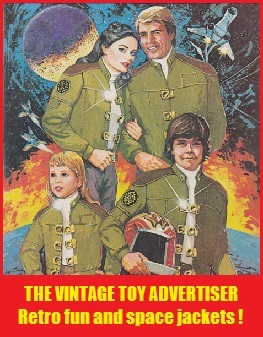 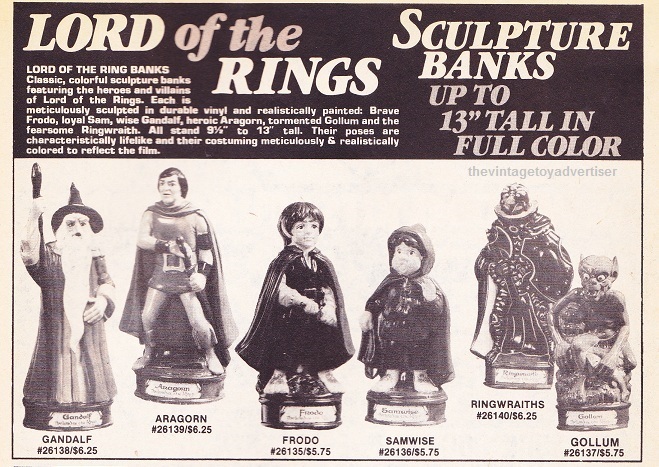 This entry was posted in LORD OF THE RINGS and tagged 1970s toys, 1980s toys, Lord of the Rings, Lord of the Rings sculpture banks, Lord of the rings toys, the vintage toy advertiser, vintage toy advertisements, vintage toys on February 3, 2013 by The Vintage Toy Advertiser.